Once upon a time, I actively collected charm packs. As each new line from a favorite designer arrived in my LQS, I purchased the charm pack*. Some charm packs found their way into quilts - remember Schnibbles? - but many charm packs did not. 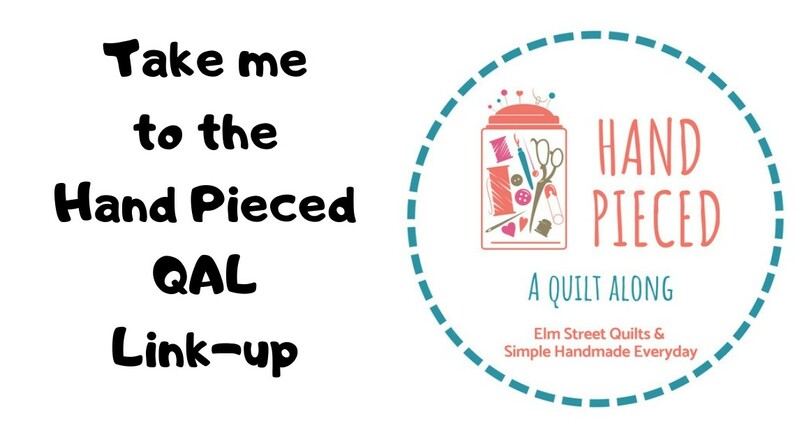 Fast forward to today - I wanted a basic chain piecing project. I wanted a project that would start eating into my stash. 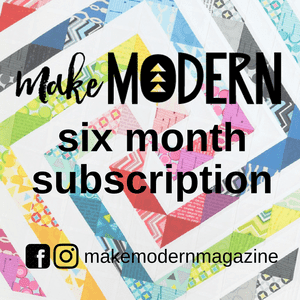 I looked through all the eye candy I'd been saving from Instagram and two scrappy quilts consistently caught my attention - postage stamp and HRT (half-rectangle triangle). 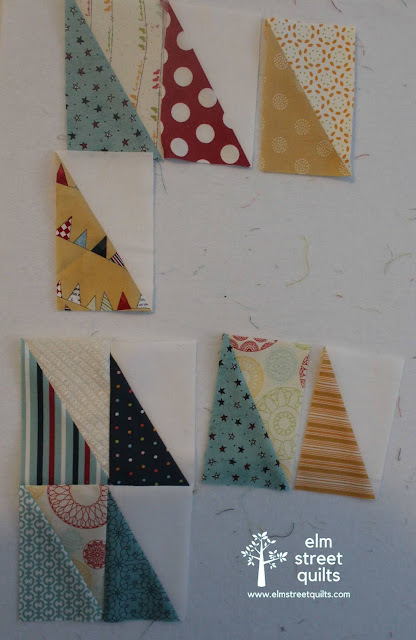 After much trial and error using scraps, I figured out the measurements that would yield blocks of the size I wanted. I looked through my charm square collection and decided to make this quilt an all Moda Sweetwater quilt. Some of the HRT are paired with low volume fabric from Sweetwater and some are paired with a white. How big will this get? I'm not sure yet. If I go with a basic lap sized quilt - 48 x 60 - I'll need 360 HRT. But, honestly, I'm temped to make a queen sized quilt for our bed. Wouldn't it be awesome? 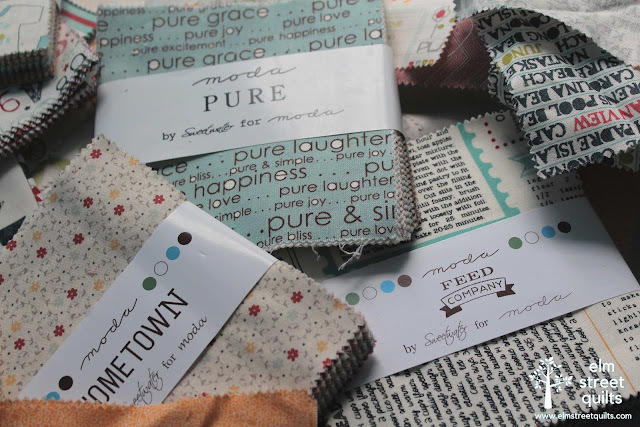 I don't have enough charm packs to get to queen sized but I do have plenty of Sweetwater fabric fat quarters and scraps that could get me closer. * The only reason I stopped buying charm packs is I started buying those mini-charms. 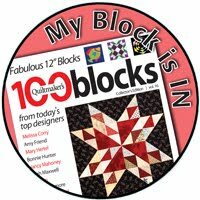 I am going to make a postage stamp quilt too and use up all the mini charms from any, all designers. That will be fun! Too funny! It is hard to cut them up but so much fun to sew with them so it balances out! I have that same plan for the mini charms!! They are just too cute to not buy. That won't be happening for a while though. Need to move and getting my sewing space together first. Maybe we could start a postage stamp - mini-charms QAL at some point! LOVE the idea of a mini-charms QAL ~ I've been saving mine for a "some day" project. It is going to be a lot of cutting and trimming but it is just fun to be working with my loved and long hoarded fabrics! Love the colors in these packs! It will be awesome at any size. Me too - they are just wonderful! I really like the HRT, it is such an interesting shape and looks great with the Sweetwater prints. Quite fun to work with an different shape for a change! Thanks, Rosanne. It is great to finally use up these beauties! You are such a tease! Lol! What are your measurements for your HSRs? This is going to be beautiful! :-) The finished size will be 2 x 4''. I do promise a tutorial on the block and measurements I'm using. Still refining to find the ideal so not to cut off too many points on assembly! Very true! These fabrics just make me so happy. Now I am sorry I didn't collect something for every Sweetwater line. I do have some Authentic bits that I will include. That's going to be really cute. I would have used up most of the fabric in the charm packs just trying to figure out how to make the HSTs! Yes, I've had a few mis-steps for sure and some going the wrong way! But no worries! Very cool idea and fabrics. I had never heard of a HRT, and will have to try to make some. Your quilts will be pretty, as always. I'm quite excited to be making a scrappy quilt with all these fun fabrics! It’s going to be lovely. HRTs make a great statement and the size is just right. Great idea to use up your stash. Thanks! It is truly going to be a fun quilt! Go you!! that will keep you busy - ha ha - Love the fabrics! That is going to be such a cute quilt. I have never bought a charm pack. Shocking I know but I never knew what to do with them. But now I think I need to buy some. 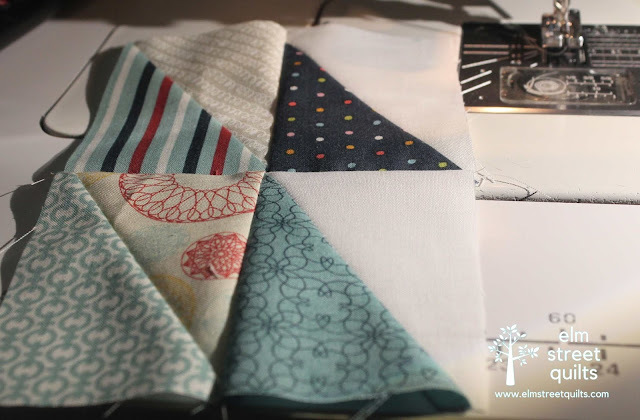 Mindless sewing is one of those sanity saving things we all need from time to time. This is going to be such a fun quilt. Love the fabric choices. Happy stitching. Love how you mangaged to puzzel "all" your charm packs into your current favorite patterns. To use the minis for the postage stamp and the bigger one for the HRTs is clever. Hope you have lots of fun!